Austin Healey 3000 BJ7 brought into Britsport to finish a restoration started by another local shop many years ago and not finished (for several reasons). Brought into the shop in many crates and boxes, the substructure was stripped, repaired and re-painted due to overlooked minor rust and cracks in suspension mounts. 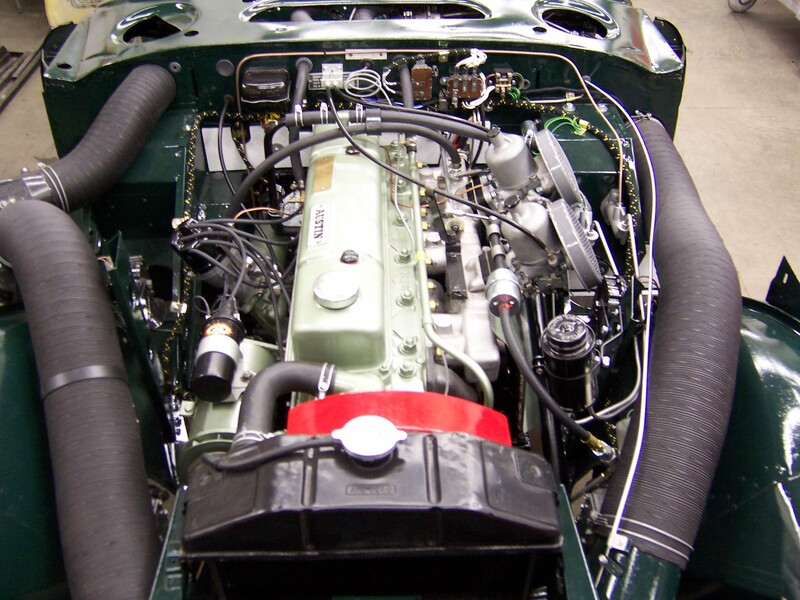 All other mechanical components in the car require work before installation and use. The project is coming along well with the engine started soon. 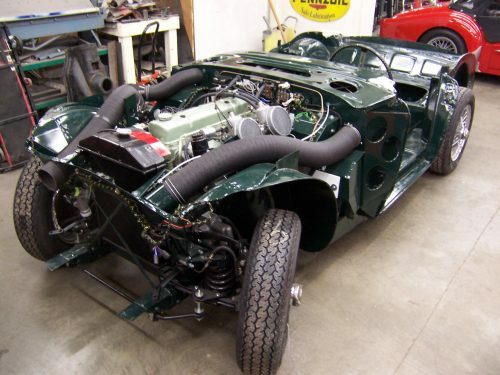 After that process is complete we will hang the sheet metal and continue building the Healey. This entry was posted on Thursday, March 1st, 2012 at 7:16 pm	and is filed under Britsport, Current Projects. You can follow any responses to this entry through the RSS 2.0 feed. Both comments and pings are currently closed. Is this a project for a customer? 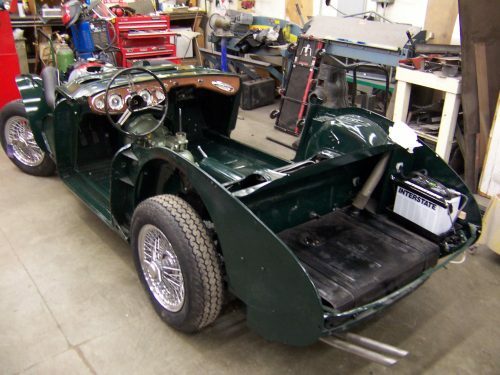 Or are you restoring it to sell afterwards?